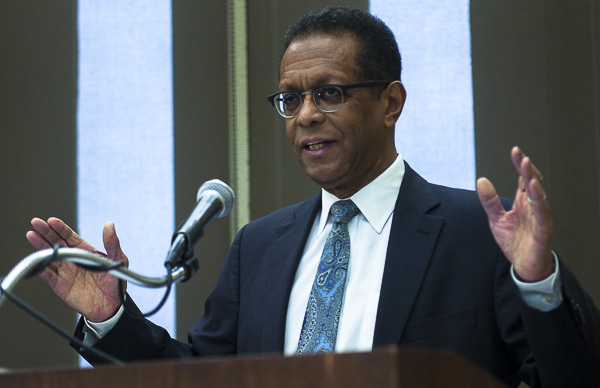 Photos from the April 24 event featuring Bob Herbert. A big thank you to all of our partners who made this event possible: Shriver Center, La Case Norte, 1871, Alliance to End Homelessness in Suburban Cook County, Alternative Schools Network, Business and Professional People for the Public Interest, Chicago Urban League, Chicago Coalition for the Homeless, Enlace Chicago, Gads Hill Center, Latino Policy Forum, and Metropolitan Tenants Organization. 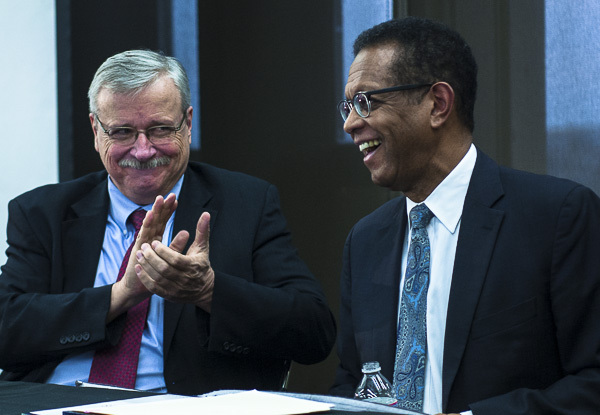 Bob Herbert, former New York Times columnist, pundit and author, smiles, as John Bouman, president of the Sargent Shriver National Center on Poverty Law, applauds. 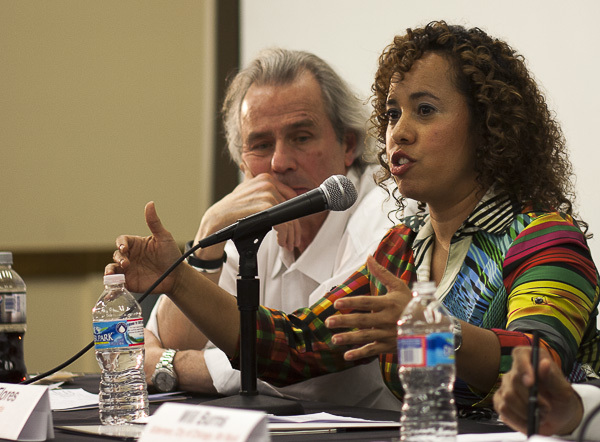 Sol Flores, founding executive director of La Casa Norte, speaks on the panel for The Poverty Puzzle: Ending Poverty in America. 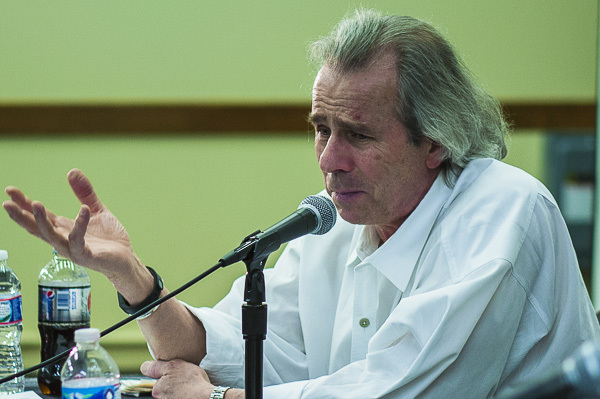 Howard Tullman, CEO of 1871, speaks on the panel for The Poverty Puzzle: Ending Poverty in America. 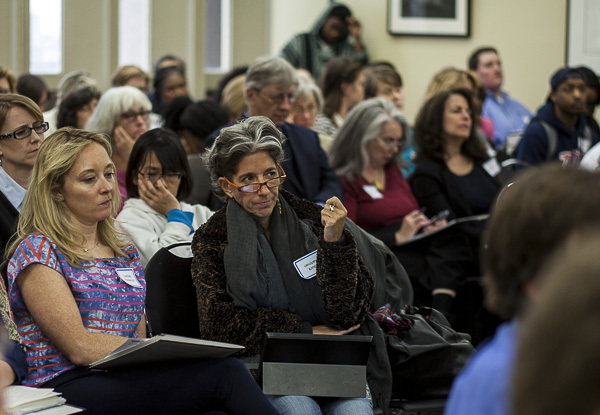 The audience listening to the panel for The Poverty Puzzle: Ending Poverty in America. 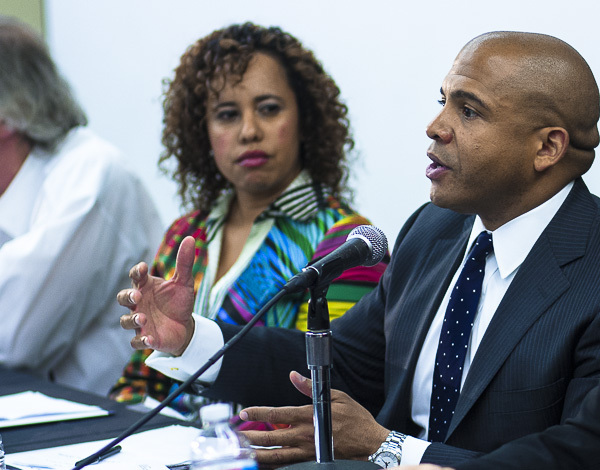 Will Burns, 4th Ward alderman of the City of Chicago, speaks on the panel for The Poverty Puzzle: Ending Poverty in America. 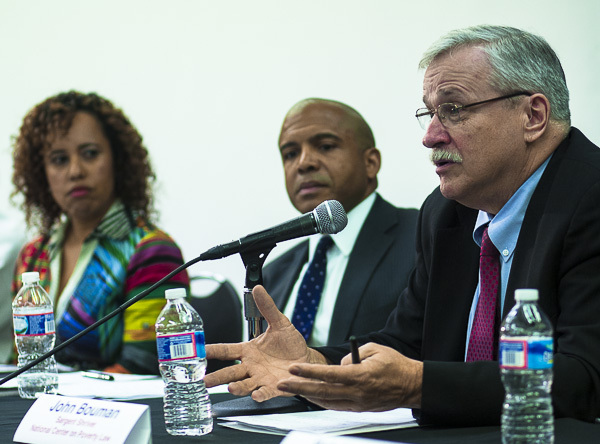 John Bouman, president of the Sargent Shriver National Center on Poverty Law, speaks on the panel for The Poverty Puzzle: Ending Poverty in America. Bob Herbert, former New York Times columnist, pundit and author, presents at The Poverty Puzzle: Ending Poverty in America.. 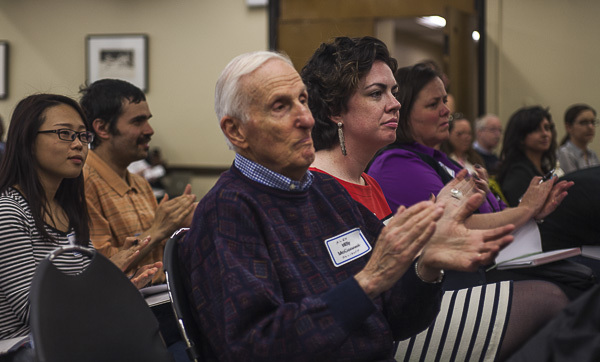 The audience applauds the panel for The Poverty Puzzle: Ending Poverty in America. 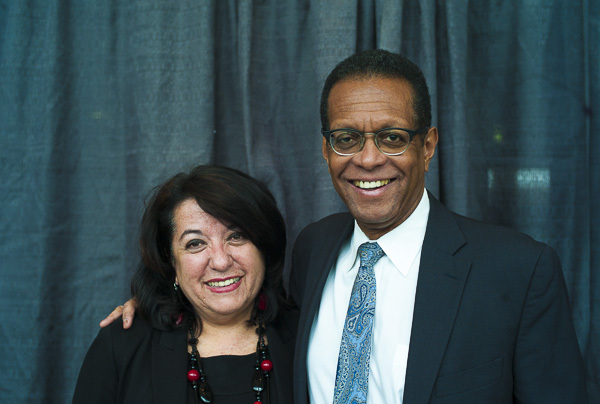 Teresa Córdova, director of Great Cities Institute, and Bob Herbert, former New York Times columnist, pundit and author. 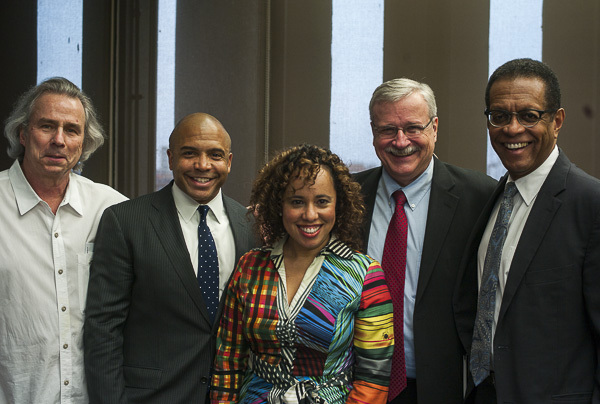 Howard Tullman, CEO of 1871; Will Burns, 4th Ward alderman of the City of Chicago; Sol Flores, founding executive director of La Casa Norte; John Bouman, president of the Sargent Shriver National Center on Poverty Law; and Bob Herbert, former New York Times columnist, pundit and author.